With the maverick missing from the center, Scott Brown, Lisa Murkowski, Olympia Snowe, and Susan Collins are filling in to get Don’t Ask Don’t Tell repealed and START ratified. 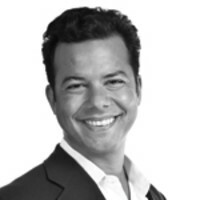 John Avlon on why their emergence bodes well for the next two years. There has been more bipartisan accomplishment in Washington over the past two weeks than in the past two years. That’s because the balance of power is back in the center of the Senate, a shift from the hyperpartisan trench warfare that characterized the first two years of the Obama administration. This new Mod Squad shows that McCain is no longer vital to the success of the center in the Senate. Yes, the president deserves a great deal of credit for quickly internalizing the results of the election and resetting the tone in Washington with his tax-cut compromise. But look at the litany of accomplishments from this lame duck—from the the repeal of Don’t Ask Don’t Tell to ratification of New START—and you’ll see that an emerging group of centrist Republican senators made the margins of victory possible. Significantly, the name John McCain is not on that list. Instead, one-time Tea Party hero Scott Brown of Massachusetts, Maine’s centrist stalwarts Olympia Snowe and Susan Collins, and Alaskan survivor Lisa Murkowski are at the heart of this new Mod Squad. In addition to departing Senators George Voinovich, Judd Gregg, and Bob Bennett, they have been joined on various bills by Indiana’s legendary Richard Lugar, Illinois freshman Mark Kirk, and the Tennessee twosome of Lamar Alexander and Bob Corker. Even North Carolina’s Richard Burr crossed party lines to support the repeal of Don’t Ask Don’t Tell. These Republican senators will hold the balance of power in the coming Congress. They represent the reasonable edge of the opposition—and they will be rewarded for their independence. Because winning their support will be essential to moving legislation forward over the next two years of the Obama administration. Their emergence violates at least three points of conventional wisdom. First, the centrist Republican tradition hasn’t been entirely hunted out of existence as Republicans In Name Only, or RINOs. And these folks don’t just represent lonely GOP outposts in the Northeast. Instead, this is a relatively geographically diverse group that bucked party leadership because of the courage of their convictions. It should be not lost on Republicans that if they’d had center-right nominees instead of Sharron Angle, Christine O’Donnell, and Linda McMahon, they might have controlled the Senate come January instead of Harry Reid. Second, the centrists counter an emerging liberal talking point—that the incoming GOP Congress is by far the most conservative in American history. The “barbarians at the gate” narrative is always good for getting your base ginned up. But it’s worth remembering that this GOP centrist coalition, along with that longtime liberal villain Joe Lieberman, finally made the repeal of Don’t Ask Don’t Tell possible. This progressive priority could not have happened with Democratic votes alone. And while five Democratic senators voted against the DREAM Act, three Republicans—Lugar, Murkowski, and Bennett—voted for it. Third, many expected that the maverick John McCain of old would ride back into the leadership of Senate centrists with his trusty sidekick Lindsey Graham after fending off a right-wing primary challenge from J.D. Hayworth. But it appears that the scars from the 2008 campaign endure. McCain has voted with his conservative colleagues in the Obama era far more than he ever did during the Bush administration, and there is no sign of that changing. McCain retains enormous moral authority with his centrist Republican colleagues. And looking ahead to the next two years, gains on a bipartisan immigration bill would be far easier to achieve if President Obama could find common ground with his 2008 rival. The same may be true for tackling the deficit and the national debt. But this new Mod Squad shows that McCain is no longer vital to the success of the center in the Senate. Some conservative activists are already salivating over primaries against Senators Brown, Snowe, and Lugar in 2012. But the Tea Party has professed to be solely about fiscal discipline, not social issues, on which many claimed to be libertarian. By this standard, votes to end Don’t Ask Don’t Tell should be applauded, while prospective Tea Party challenges should be directed at big spenders like Mississippi’s Thad Cochran, the No. 1 pork-barreler and earmarker in the Senate for several years running. The fight to reduce the deficit and the debt will be the big action item of the new year, and I think you’ll see most of the new Senate Republican centrists supporting serious steps toward fiscal responsibility, like entitlement reform and tax reform. They again will be in a position to drive the agenda and might prove to be essential bridges between fiscal conservatives and Obama. The last two weeks have shown that this lame duck could fly, but that’s not all. It is a positive harbinger for the next two years. Not that all will be sweetness and light—there are plenty of snakes in the grass. But nonetheless it is a reminder that divided government does not have to mean gridlock. It is a reminder that we can move our country not left or right but forward.